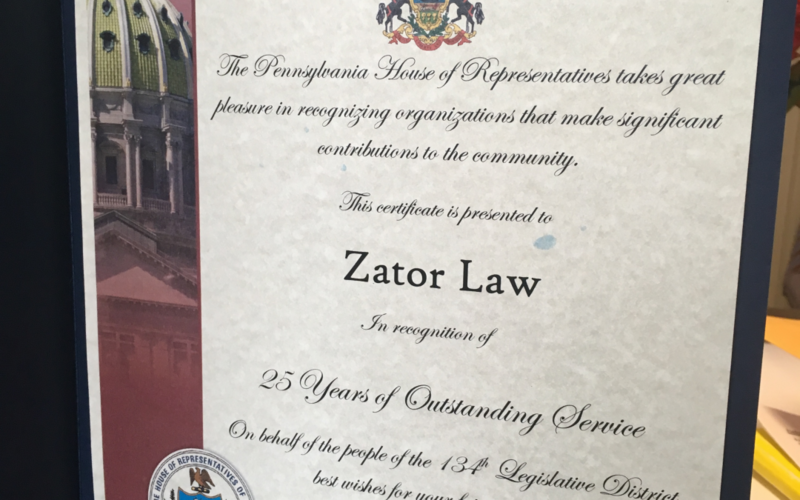 Zator Law has been recognized for 25 years of Outstanding Service to the Community by the Pennsylvania House of Representatives. At Zator Law, one of our guiding values is Citizenship. We give back to the community with time, talent and resources. 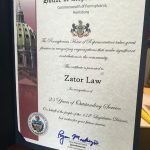 We aim to do what we can so that the communities in this region benefit from Zator Law’s personal and professional efforts. 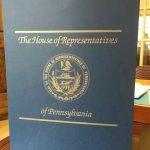 Thank you to Representative Ryan Mackenzie and the House of Representatives for this honor.